The world's first ''Vertical Farms'' are finally cropping up with fully operational prototypes in South Korea and Japan. In Chicago, Milwaukee, Newark, and Seattle vertical farm plans are in production. 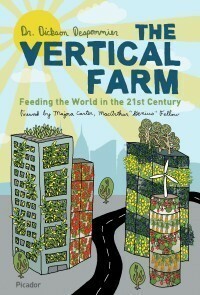 Written by one of the leading experts in the field, Dr. Dickson Despommier's The Vertical Farm serves as this growing industry's blueprint. Dr. Dickson Despommier spent thirty-eight years as a professor of microbiology and public health in environmental health sciences at Columbia. His work on vertical farms has been featured on such top national media as BBC, French National television, CNN, The Colbert Report, and The Tonight Show, as well as in full-length articles in The New York Times, Time, Scientific American, and The Washington Post. He recently spoke at the TED Conference, Pop!Tech and the World Science Festival and has been invited by the governments of China, India, Mexico, Jordan, Brazil, Canada, and Korea to work on their environmental problems. He has addressed audiences at leading universities, including Harvard and MIT, and has also been invited to speak at the United Nations. He lives in Fort Lee, New Jersey. We have had such a hard time finding a co-op to belong to for fresh organics... now we could apply this concept on a smaller level, even for our own family/neighborhood!! Exciting things ahead!! 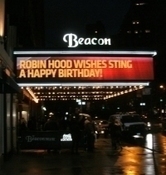 "Sixty feels comfortable," Sting told the sold-out crowd at New York's Beacon Theatre on October 1st. "I've always felt sort of old." But celebrating the milestone birthday onstage, Sting was positively boyish, ecstatically jamming with a stacked all-star roster of friends and fans including Bruce Springsteen, Billy Joel, Stevie Wonder and Lady Gaga. He has a lot to celebrate this fall: Sting just released 25 Years, a box set focusing on his quarter-century as a solo artist, and this month he kicks off the 32-date Back to Bass tour, playing in theaters with a stripped-down band. "I thought it was a good time to reflect," says Sting. "For me, getting older enriches life. You realize there are a limited number of summers left - or tours, songs, relationships - so you really have to value them..."